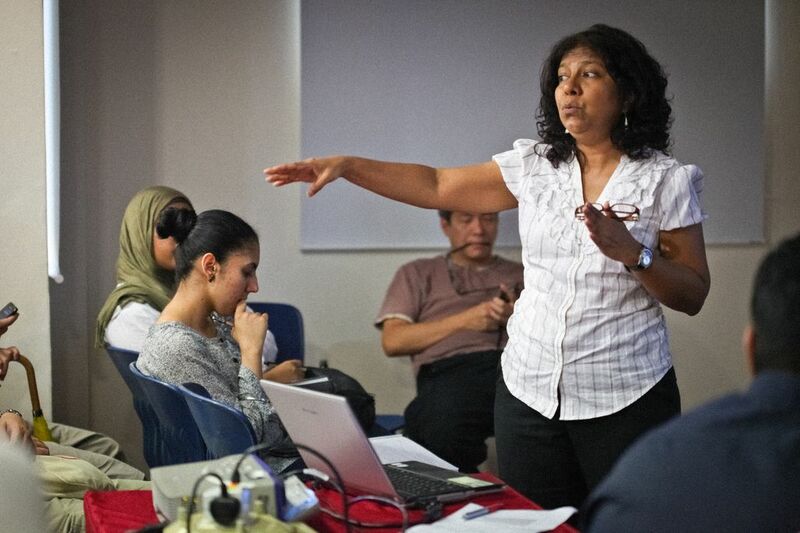 MARUAH organised a forum to discuss the perspectives behind why the need to “Occupy” anything, in this case Wall Street. It was a good turnout despite being “occupied by the rain”, said an enthused audience member. Held at the Singapore Council of Women’s Organisations (SCWO), our three esteemed speakers; Mr Leong Sze Hian, Mr Tan Jee Say and Ms Braema Mathi, moderated by Mr Dhamendra Yadav, walked us through the crisis in the US and globally. According to Sze Hian, the first speaker, no one really knows what the movement is about but the movement is growing. He labelled it as a “fed-up” movement. People are tired of wages stagnating, inability to afford housing, healthcare and the scary prospects of not making ends meet. In the local context, he quoted a Straits Times article “Some needy families not seeking assistance – Government working on better outreach and making it easier to get help” (ST, 19th Nov 2011) (link). The article highlighted a study conducted by MCYS; one of the findings was that many families preferred not to seek aid even though they were eligible. Could it be that the application process is onerous, and/or stigmatise the applicants? He also spoke about root causes, e.g. the lack of job creation, lack of secured re-employment prospects in the case of Singapore’s Retirement and Re-employment Act to be enacted in 2012 (link) as well as social security issues. Investment banks, masters of the universe? 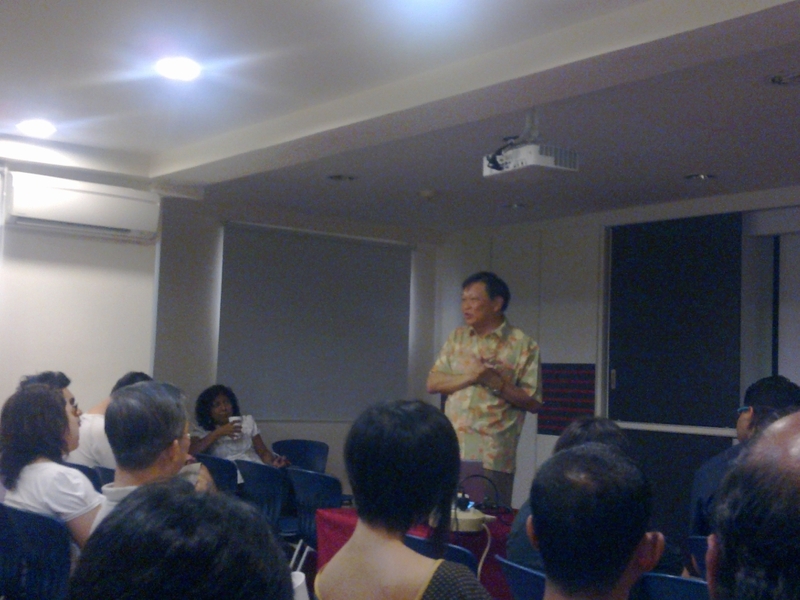 The following speaker, Jee Say, provided an economic background on the overall issue. A series of major events in the last 30 years resulted in an unchallenged rise of capitalism. This resulted in a constant pursuit of profit maximization, which only widened the income gap further and dispelled the myth of a trickle-down effect. The poor remained poor. Privatisation only allowed profits to rise, heightening the problems. He also highlighted that capital markets resulted in overblown valuations. Using the Prospective model, earnings multiplied, expanding the market and increasing the number of similar enterprises. In the end, it became “what the market thinks”, making “investment banks masters of the universe”. Lastly, globalisation contributed to the widening of the income gap via outsourcing of production and influx of foreign cheap labour. As a prelude to the question and answer session, Jee Say posed a question of “what’s next?”. He suggested that enterprises should be allowed to blossom together with a strong safety net provision. Northern Europe was cited as a possible example to learn from. The last speaker, Braema, premised her presentation that economic rights are human rights. The systemic processes should be addressed because governance and economic structures are inter-twined. “Occupy Wall Street” became a symbol against the entire financial system, but many shifted the blame towards the politicians. This was the story of an elite group, not just the top one percent but 0.1 percent, or the “white collar mafia”. The scarcity of jobs, outsourcing of labour, should make us question the underlying values behind this movement and not just the platform. Ms Braema suggested that the movement is partially a result of an intergenerational income divide; people needed to start caring for each other. States and businesses alike should take ownership and there are different frameworks available. John Ruggie’s “Protect, Respect and Remedy” is one such framework. Governance is currently lacking in this area, and this can be improved by ensuring participation, transparency, effectiveness and efficiency, responsiveness, being consensus-oriented, providing equity and inclusiveness, and enforcing the rule of law. In conclusion, Braema stressed the importance of active citizenry and the need to be aware of our rights accorded by the Universal Declaration of Human Rights (UDHR). The floor was opened to questions and commentary for the panel. 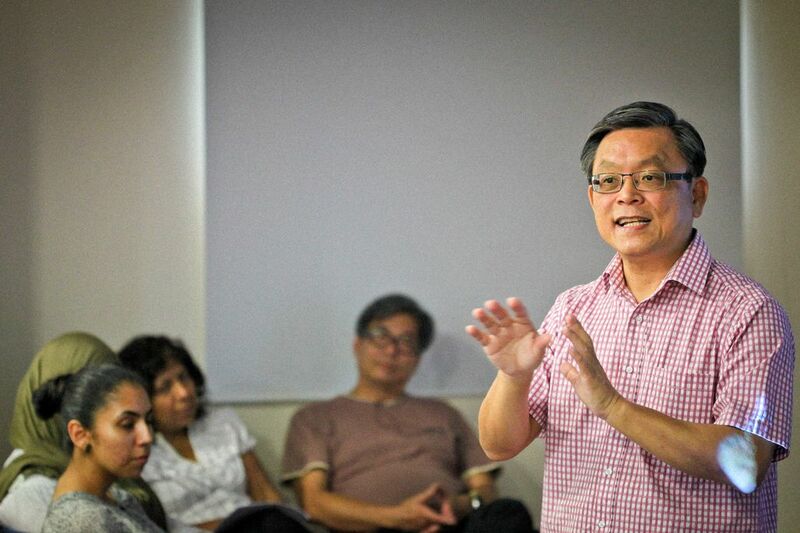 Among many, a question was posed if “Occupy Hong Lim” would succeed? 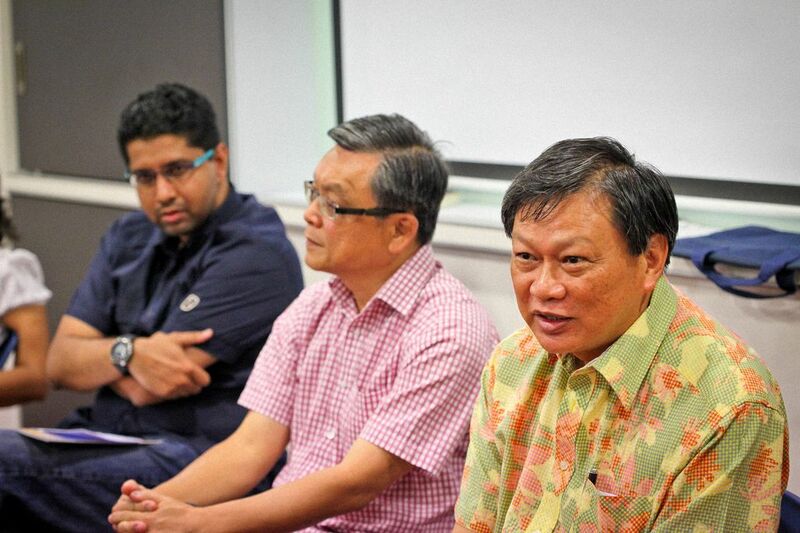 The panelists agreed that it could, if the focus is on the right issues and policies. However, some felt that Singaporeans may be ignorant; this was attributed to the economic pragmatic approach undertaken by the PAP government. The people therefore have to realise that there are issues of distribution of income and opportunities are not fairly distributed either. 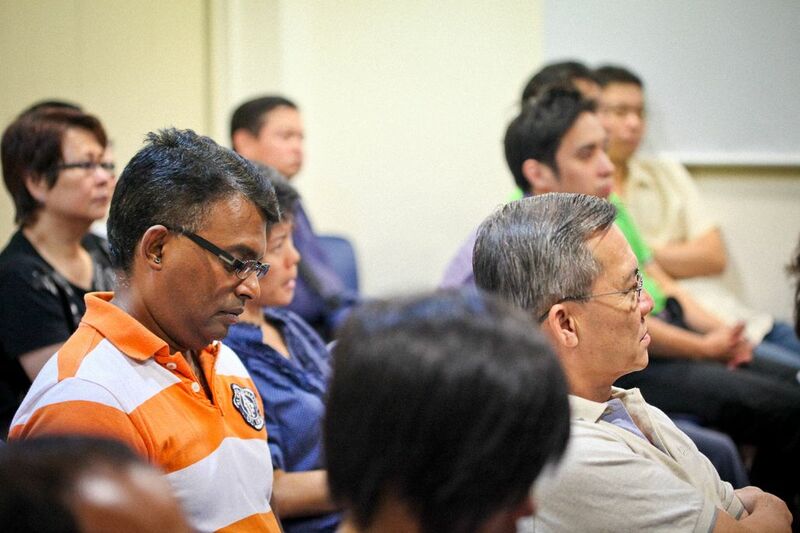 Another audience member commented on the inter-linkage between economic and political power. Political decisions, especially in the case of the United States, tend to be influenced by wealth, judging from its electoral system. In other countries like the Philippines and Indonesia, there is a serious predicament of the “white collar mafia”; politicians owning businesses and practising nepotism. So perhaps politics and business should not be allowed to mix; it only deepens helplessness of the masses in this case. What is the value of my citizenry? Am I keeping up with information and owning my citizenry? Are we raising awareness of issues? Are we creating forum spaces, connecting with our MPs and making them accountable? Join us for our next discussion on ASEAN Matters, December 17th 2011. Watch this space for more details. This entry was posted on Saturday, November 26th, 2011 at 5:31 pm and is filed under Event reports. You can follow any responses to this entry through the RSS 2.0 feed. You can leave a response, or trackback from your own site.